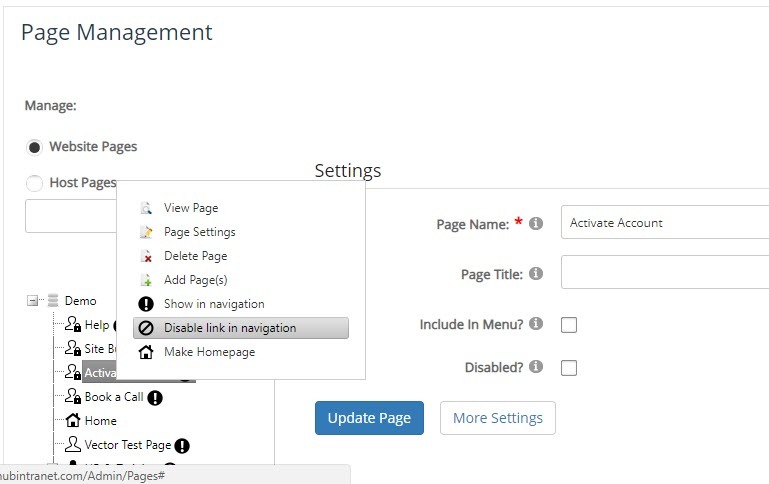 Overview: Disabling a navigation link to expand more sub-pages. 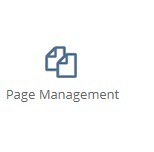 Click on Admin and then Page Management. You will be directed to the list of the pages created. Select a Page name that you wishes to disable then right click. The page that was disabled will still be visible in the Menu, it will serve as a title. 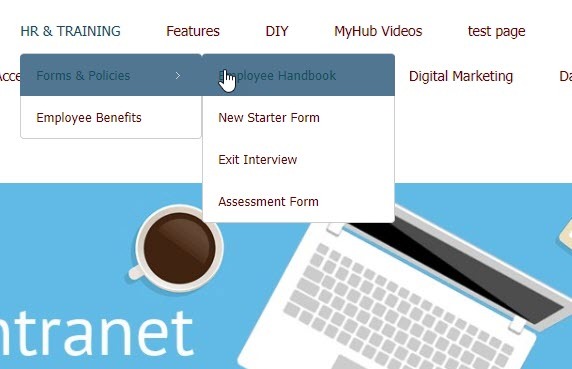 This feature will help you to be directed to the specific sub-pages with modules needed.